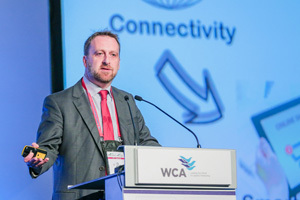 The 19th WCA First and 9th annual WCA Worldwide Conference attracted 2,617 participants. The two conferences were combined so members could enjoy an accelerated week of one-on-one meetings, networking events, country tours and workshops as well as create new business partnerships. Delegates were privileged to experience the launch of WCA’s most recently added network, WCA eCommerce. Alex Allen, Managing Director, spearheaded workshops for both individuals who were interested in incorporating themselves within the group as well as for members who wanted to learn more about utilizing benefits within the network. 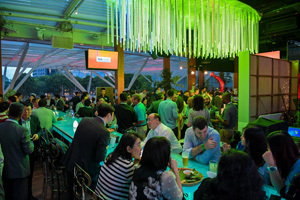 The Suntec City Sky Garden played host to the first ever WCA eCommerce cocktail reception. Consol2Xchange (C2X) also celebrated its one-year anniversary as WCA’s exclusive online consolidation program. Members were able to meet with Brian Majerus, C2X director, for workshops focused on boosting the consolidation experience. C2X plans to offer lane options beyond the WCA network by partnering with third party consolidators. At the plenary session, WCA chairman David Yokeum discussed the future of WCA and its networks for the coming year. This year’s record-breaking number of delegates being proof that WCA is growing exponentially. CEO Dan March also highlighted the new eCommerce network at the plenary session, where he expressed the importance of freight forwarder involvement in eCommerce logistics chain. The 2017 Awards Reception was held at Marina Bay Sands. During the dinner delegates enjoyed native Singapore entertainment consisting of a shadow and light show, as well as a high-energy multi-ethnic dance production. DC Logistics Brasil was voted World’s Best Partner of 2016! World insurance Services, WCA’s exclusive risk management provider, revealed its new FSL Black program. World insurance also plans to introduce cyber insurance solutions, in response to the incorporation of WCA’s new eCommerce logistics network, in the upcoming months. Singapore will continue to serve as meeting place for WCA’s First and Worldwide conferences in 2018.
abi. The conference was very interesting and rewarding. We are confident that our membership will bear all the good fruits.”-Mr Philippe Mairlot, CEO, Magemar S.A.
“It was a pleasure meeting you and your wonderful team during the WCA conference in Singapore, as usual the event was fantastic! My sincere thanks and gratitude to the WCA team for all the support and assistance extended to us. WCA has provided us with a great platform to grow our business, reputation, credibility and success and we shall continue to be a loyal member for many years to come.” – P.P. Ayyoob, managing director, HAKTRANS Global Logistics LLC.